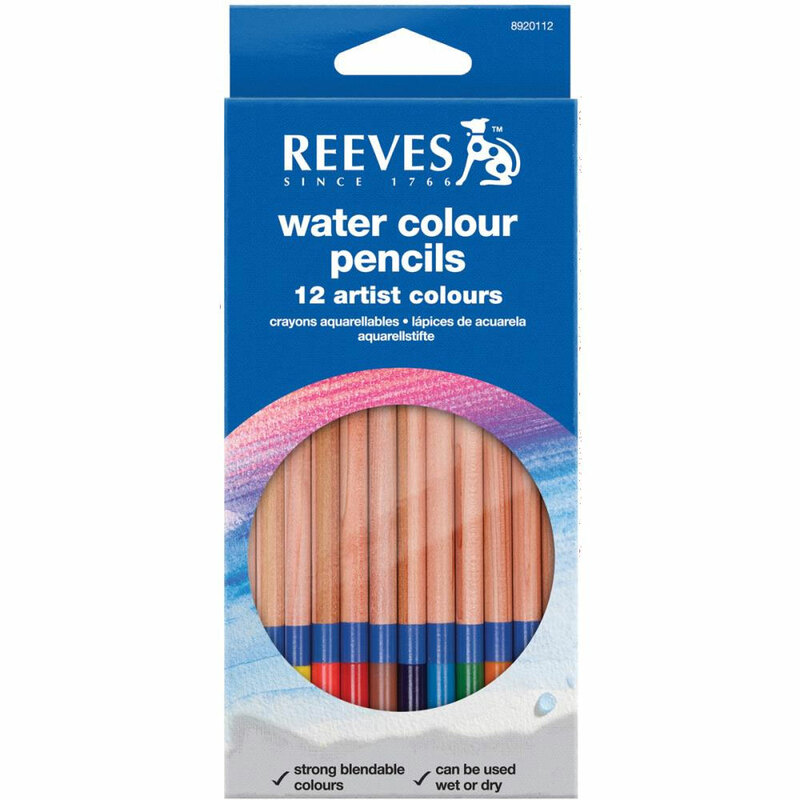 Watercolor pencils allow for soft graduated shading and professional looking blending effects. Embossed designs look beautiful when shaded with colored pencils. Watercolor pencils are more versatile than regular colored pencils. You have the option of creating colored pencil effects of watercolor painting effects. Colored pencils can be used only for coloring in an already stamped design. They cannot be used directly on your stamps. Once the coloring is completed, you can stop here, or achieve different effects by adding water. Color your image with dry pencils, blending and shading as desired. Dampen a paintbrush with water and paint over colored areas. A barely damp brush gives brighter color, with pencil lines showing. Adding more water will blend the colors more smoothly. The more water you add, the less intense your colors will be. But adding excessive amounts of water will cause the colors to run together, and the paper to buckle. Blend the colors instead by stroking with a blender pen or water brush, eliminating the need for brush or water. Watercolor pencils give you professional looking results with the benefits of ease in use, lots of pigment, reasonable price, and the use of a fine point for coloring small areas. Use with a palette: rub a pencil tip on a piece of paper, building up pigment. Use a damp brush or blender pen to pick up pigment and add to your art. This is a great way to mix colors. For bright bold colors, take the pigment directly from your pencil tip. Dip your brush in water and press to the tip of the pencil. This will give you undiluted pigment for strong colors. Dry use of watercolor pencils to color stamped images on dark paper or on velour paper gives beautiful results.